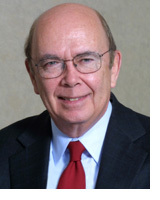 Mr. Ross organized International Steel Group in April 2002 and was its Board Chairman. By acquiring Bethlehem, LTV, Weirton, Acme, Georgetown and U.S. Steel’s plate operation, ISG became the largest integrated steel company in North America. It was listed on the New York Stock Exchange until April when it merged with Mittal Steel to form the largest steel company in the world. Mr. Ross remains a director of Mittal and was a member of the three-director committee responsible for the recent successful bid for Arcelor. In October 2005, the firm teamed up with India’s Housing Development Finance Corporation Limited, India’s $9.5 billion mortgage finance institution, to invest in Indian corporate restructurings and turnarounds. The firm has just become the first foreign fund selected by the Asset Reconstruction Company of India (“ARCIL”) to rehabilitate a major Indian company, OCM. In March, 2004, the firm organized International Textile Group (ITG) by buying and consolidating two bankrupt companies, Burlington Industries and Cone Mills. Mr. Ross serves as Chairman of ITG and is also Chairman of the Board of the Nano-Tex affiliate of ITG. Since then, ITG has announced investments in China, Viet Nam and Guatemala and acquired Safety Components International. On October 1, 2004, WL Ross organized International Coal Group to acquire out of bankruptcy Horizon Natural Resources and two other coal companies and went public. It is listed on the New York Stock Exchange under the symbol ICO. In 2005, WL Ross formed International Automotive Components to acquire Collins & Aikman’s European operations and Lear’s European interior plastics division. In 2005, WL Ross acquired a major stake in Oxford Automotive which subsequently completed the friendly reverse takeover of Wagon, a London Stock Exchange listed company, to form a € 1 billion company. More recently, the firm acquired control of PLASCAR, the leading Brazilian automotive plastics company, Mitsuboshi in Japan and BST in Germany. In 2006, the Ross Funds made major commitments to Montpelier Reinsurance Holdings, and Mr. Ross joined the Board. Last month Lloyd’s approved for the first time a venture between one of its leading syndicates and the Ross Fund’s Panther Reinsurance affiliate. In Japan, the firm also controls a number of businesses and manages real estate, corporate governance and private equity partnerships. In 1999, President Kim Dae Jung awarded Mr. Ross a medal for his help during Korea's 1998 financial crisis. He is a former Chairman of the Smithsonian National Board. Earlier, President Clinton had appointed him to the Board of the U.S.-Russia Investment Fund, and he served as privatization advisor to Mayor Rudolph Giuliani. Mr. Ross serves on the Executive Committee of the New York City Partnership and of the Japan Society and is a member of the Chairman’s Circle of the U.S.-India Business Council. He is a member of the Business Roundtable and is a Board member of the Yale University School of Management, which has presented him with its Legend of Leadership Award. He is also a member of the Committee on Capital Markets Regulation. Mr. Ross holds an A.B. from Yale University and an M.B.A., with Distinction, from Harvard University.